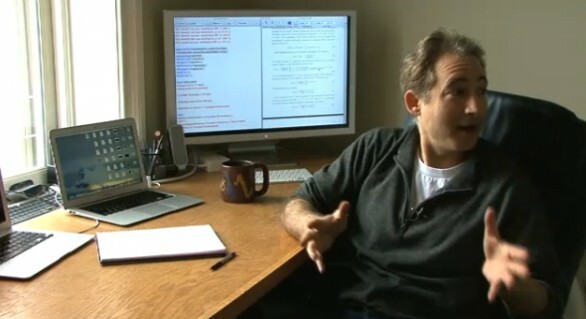 Classy Quickie :: Brian Greene's Desktop | It's not your tech, it's how you use it. I’m a huge fan of both people’s desktops and of Brian Greene, both as a thought leader and as a physicist, and I’m always impressed to see how other people get their jobs done, how they work, what environments inspire them, and what surroundings they think their great thoughts in and dream their big dreams in. 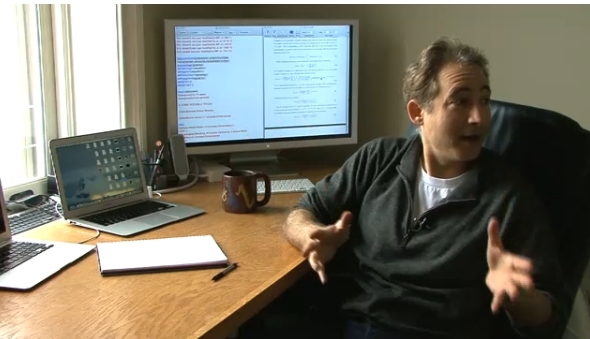 So I was thrilled to watch this Desktop Diary from NPR’s Science Fridays that highlighted Brian Greene, his office, and specifically his workspace and the tools he uses. Perhaps one of the most startling things about Dr. Greene is that Ray Ban outlet he uses a Mac. When I was a physics and astronomy undergrad student, all of my professors were serious Unix people, most often with Solaris workstations in their offices, sometimes a Windows workstation with a Solaris box next to it. Everything Greene does is done with an air of minimalism and professionalism. I’m impressed with how well organized and maintained his office is, but how much fun he seems to have working in it as well. It’s been a while since we had a workspace contest. What does yours look like? What do you keep nearby to inspire you?